Hello, Sue Fliess! Welcome back to Watch. Connect. Read. Thank you for stopping by to celebrate Little Red Rhyming Hood. Are you up for a challenge? Book talk Little Red Rhyming Hood using fewer than 280 characters. 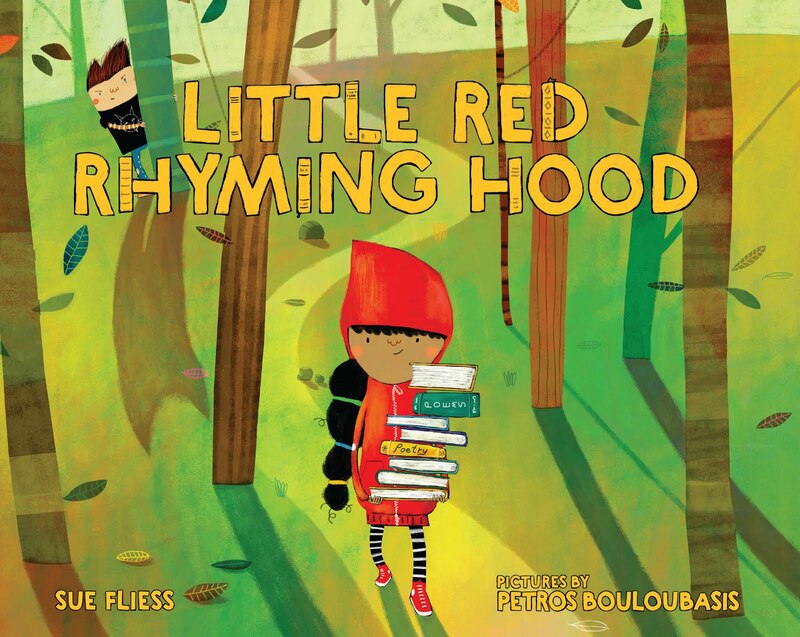 Sue Fliess: Little Red only speaks in rhyme so mean Big Brad Wolf teases her. 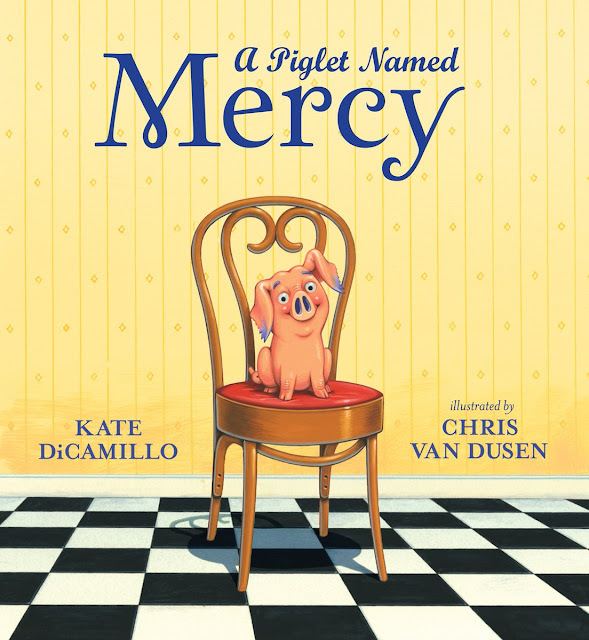 A poetry contest is her chance to make friends, but Brad scares the rhyme out of her—and into him! Can they rhyme their way out of trouble? A story of unlikely friendship and how our differences make us unique. What did you enjoy the most while working on Little Red Rhyming Hood? Sue Fliess: I loved that I let the story take me in a wacky direction. When fracturing fairytales, my tendency is to worry about straying too far from the original storyline and losing the essence. But for this one, because the premise was already kind of out there, I was a lot less reserved. And it allowed the story to take a supernatural Freaky Friday-esque twist! Is Little Red Rhyming Hood a companion to Mary Had a Little Lab? Sue: Yes. It’s actually the 2nd of 3! 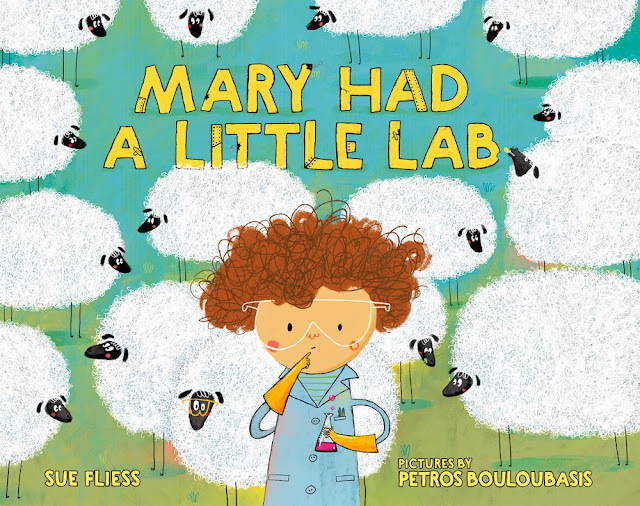 The third one comes out in 2020, and it’s called The Princess and the Petri Dish, about a princess who grows a tastier, sweeter pea in her petri dish. Petros Bouloubasis will also illustrate that, and it may just be the zaniest story of them all. Petros Bouloubasis’ illustrations are exactly what these whimsical, comical stories needed to be successful. The details are what makes his illustrations so scrumptious. His creativity takes these books to the next level and kids at school visits are always pointing out tiny details that I’m often seeing for the first time. And guess what? I will get to meet Petros in Athens, Greece (where he lives) in June! Mr. Schu, you should have asked me about the clever double entendre Petros put the cover. It delighted me so much I gasped. Hint: Look at Big Brad’s shadow…do you see the wolf? Genius, I tell you! Look for Little Red Rhyming Hood in October 2019.